When I was a kid, we drove by Berkeley’s historic Claremont Hotel all the time on the way to Cal football games and other events in the East Bay. It certainly stood out – stark and white on its perch overlooking the entire San Francisco Bay. Backed up on a hillside covered with fragrant and green eucalyptus trees, the Claremont became a backdrop for many of my early memories. Now the Claremont Hotel is reborn under the guidance of Fairmont Hotels & Resorts, and it’s stunner. On a recent visit, our family loved the lux surrounding and comfy rooms tucked into the eaves. Berkeley’s historic Claremont Hotel is back on top. 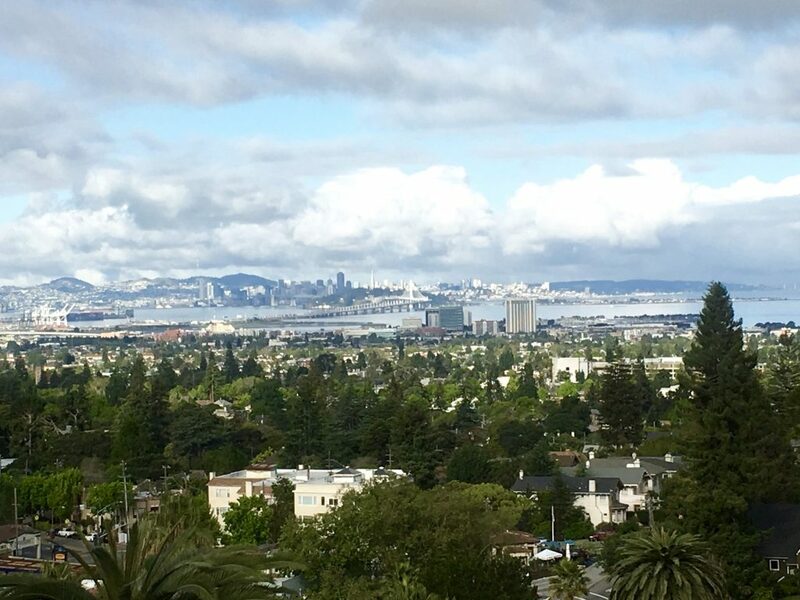 This was literally the view from our room atop the Claremont Hotel in Berkeley. Wow! The Claremont Hotel is positioned beautiful on the hills overlooking the San Francisco Bay, and on a clear day can be seen from downtown San Francisco. Pearly white against the green hills, The Claremont has been a part of my own family’s history for as long as I can remember. As a little kid the Claremont seemed monolithic. It was so huge and imposing to a child, like a monument or ancient cathedral cut into the fabric of an ancient city. It was simply The Claremont, as though it had always been there. 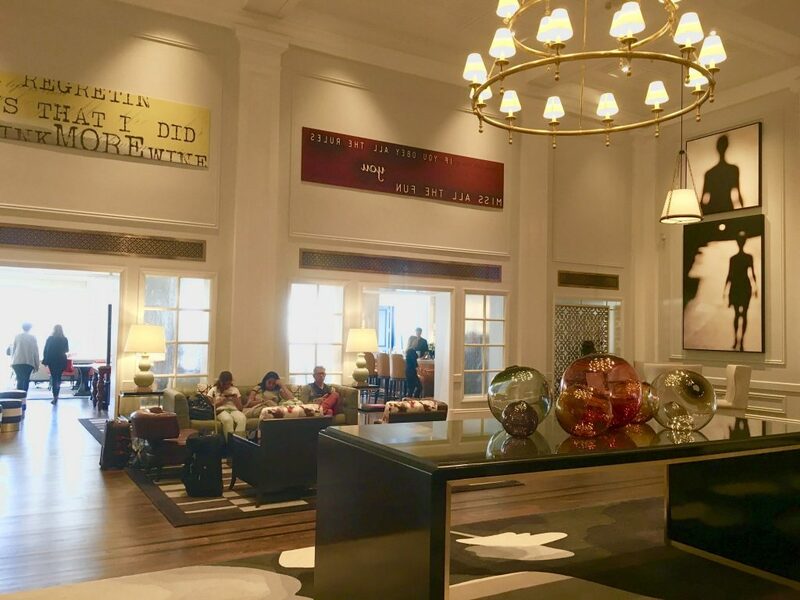 Full of art and natural light, the Claremont Hotel lobby is both historic and modern. As a college student at Cal I attended official events there, quaffed drinks in the bars, played tennis on the courts. But The Claremont fell into disrepair over the years, and became a shadowy version of her former self. Rugs went threadbare, paint faded, and the whole place smelled of mildew and old ladies. Oh come on, you know that smell as well as I do and it ain’t pretty. But never in all those years – through highs and lows – did this grand dame look as good as she does today. 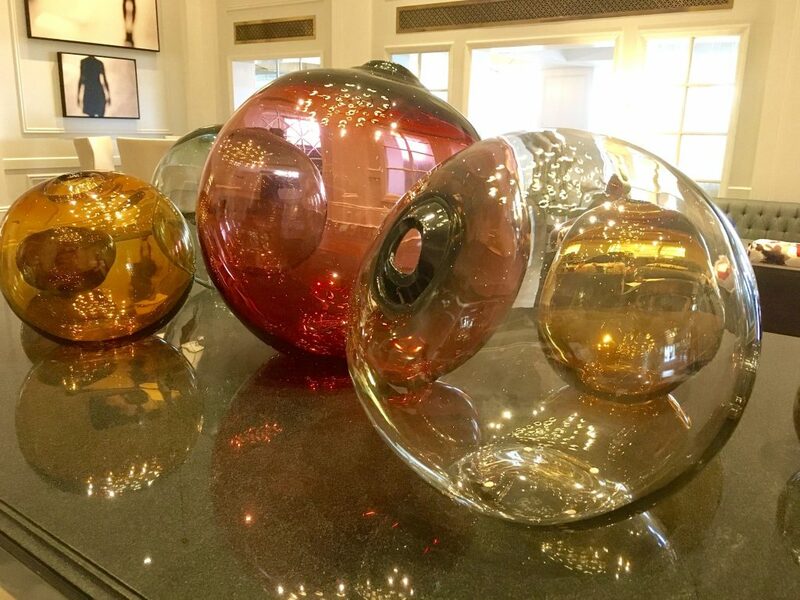 The art collection at The Claremont Hotel in Berkeley is stunning, including these blown-glass baubles bigger than our heads. Fairmont Hotels has done a spectacular job renovating this historic property to its proper glory. 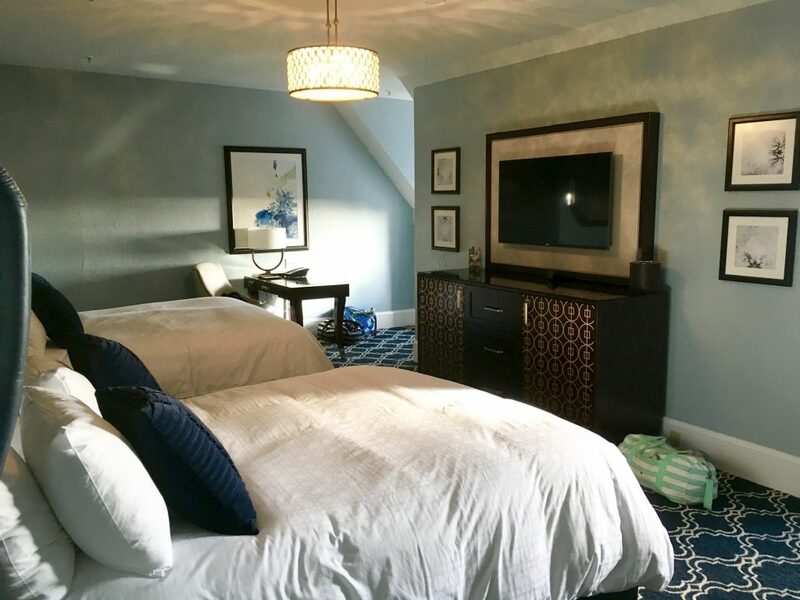 Our room in the eaves of the roofline on the top floor was cozy, large and comfortable with dormer windows looking out over the Bay, San Francisco city skyline, and the Golden Gate Bridge beyond. The girls loved the bench seats under each window, and promptly parked themselves there while peering out at the endless views. We all four fit quite nicely. Our room at The Claremont Hotel was tucked into the eaves, including dormer windows for light and views. And the bathroom – oh that bathroom – was enormous, with both bathtub and large shower. Sometimes when we travel as a family of four, the bathroom is the hardest part. Everyone’s many beauty products and accoutrements that take up a great deal of counter space. Plus you should see the way our girls go through towels. You’d think they were disposable or something. The bathroom at The Claremont, however, could have held a small dance party. Now I love a good hotel lobby, one where I can sit and people watch. I love to spy an unsuspecting guest and make up an entire life for them in my head. I decide where they are from, what they do for living, and their darkest secrets known only to Match or Grindr. The Claremont lobby and public spaces are sumptuous, well-designed and extremely comfortable. And PERFECT for people watching. I could have hung out for hours. 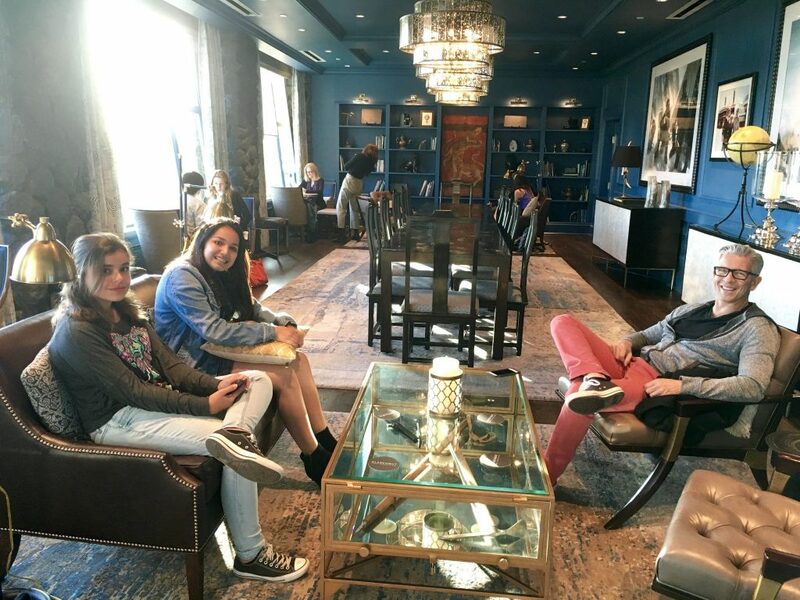 The lobby lounge at The Claremont Hotel is full of sitting rooms with stylish decor and amazing views. There is much to do nearby for families with kids. The Lawrence Hall of Science is a great museum dedicated to inventions and discoveries, with hands-on exhibits for kids of all ages to play and learn. Just up the hill in Tilden Park, acres and acres of rolling hills and old-growth redwoods and oak trees abound with hiking trails. We visited the Tilden Park’s Little Farm, where livestock is kept happy by daily visits from families. Those animals enjoy LOTS of treats hand-fed by kids of all ages. Our girls giggled with laughter while feeding celery to the goats and heads of lettuce to the pigs. 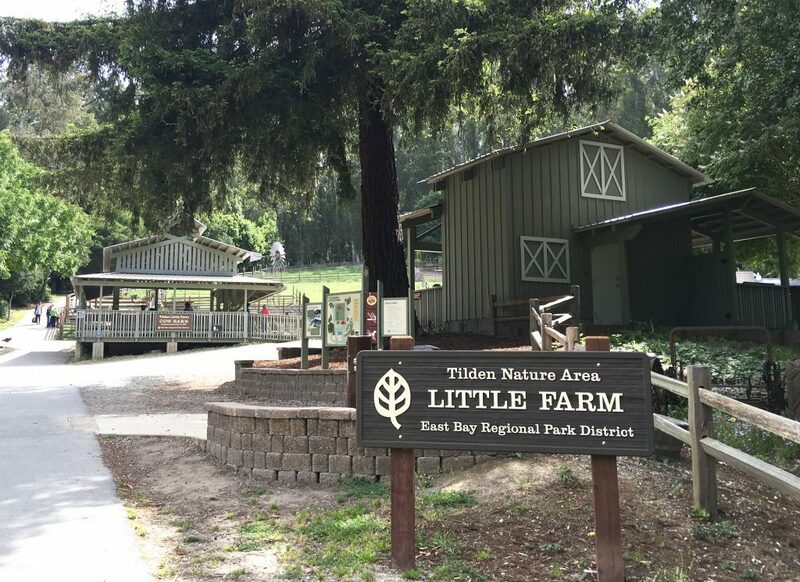 Tilden Park’s Little Farm is a sweet little working farm with a variety of livestock and animals for the kids to pet and feed. Just down the path from The Claremont is the amazing little Domingo Street with a couple of restaurants, a coffee shop and the Fournée Bakery. Judging from the line out the door, we knew we had stumbled upon a local favorite. Once inside and staring into the cases of pastries, we had a hard time choosing. The girls opted for chocolate croissants, while Triton and I chose more the more exotic bacon and cheese scone and a delicious rhubarb concoction. 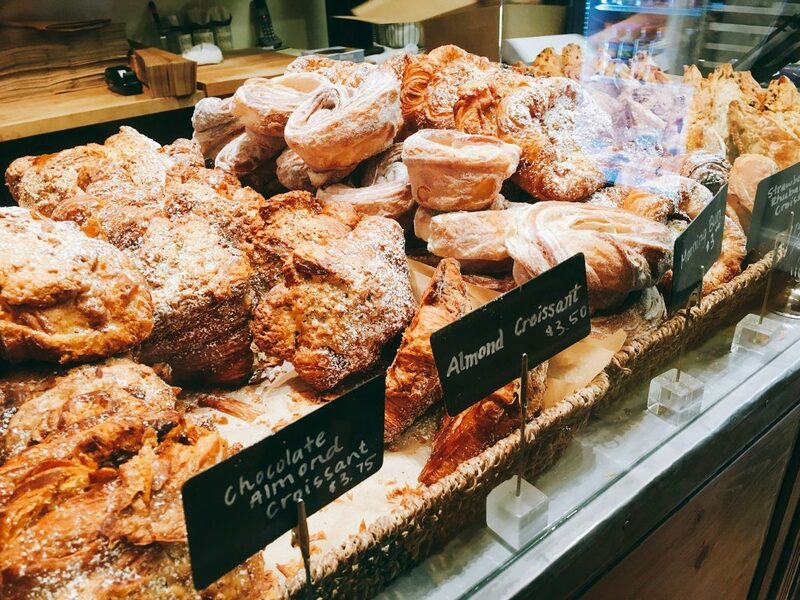 The pastries at Fournée Bakery in Berkeley are out of this world. Our kids were treated beautifully by the Claremont Hotel staff, as were we. Our little family enjoyed our stay immensely, and look forward to returning for a round of tennis on those pristine courts. The weekend stay was well worth the price, which was definitely on the higher end of the spectrum. Save your rubles and put The Claremont on your list – it’s modern luxury with an historic flavor. I love a good people-watching lobby too! And one that’s super comfy and relaxing! This one looks perfect. As do those pastries! You would love this place Averie, and you are right about that bakery!